Click to Open new support ticket. 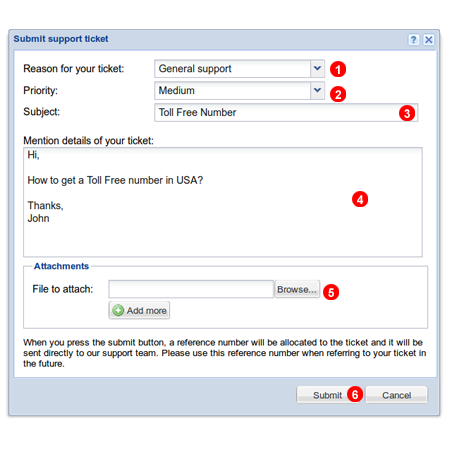 Figure 4.2 Submit support ticket window. To submit a ticket click "Submit ticket" button located in Help panel - see figure 9.1. 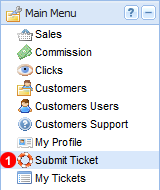 Next select your ticket type, from the drop down list (1) and enter details of your problem into text area (2). Finally click Submit button (3). Figure 4.3 Your tickets window. To view your tickets click gear icon located in top right corner of Help panel. Next select from the context menu. To view history of all messages, click ticket ID link (1). 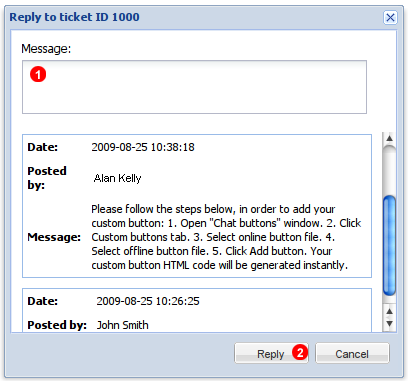 Figure 4.4 Ticket reply window. To post a new message click Reply link - see (2) in figure 8.3. Next enter content of your reply into text area (1) and click Reply button (1). Once you are satisfied with the solution provided by support team, you can close your ticket by clicking Close link - see (3) in figure 9.3.